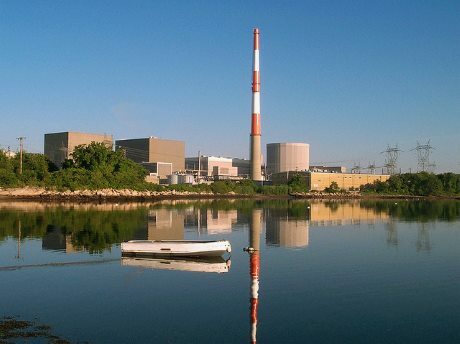 Dominion's Millstone nuclear power plant is critical to the state of Connecticut and the region of New England for fuel security and meeting emissions targets, state regulatory authorities have found. The commissioners found the plant's continued financial viability could be at risk, but also said Dominion has not yet presented them with verifiable evidence to prove it. Connecticut's Department of Energy and Environmental Protection (DEEP) and Public Utilities Regulatory Authority (PURA) on 2 February issued their final report on the current and projected future viability of the two-unit plant, as required under an order issued by state governor Dannell Malloy in July 2017. Boston-based energy management consulting firm Levitan & Associates, Inc (LAI) were appointed to evaluate the plant's financial prospects and estimate the effects on Connecticut's electricity ratepayers and its economy as a whole if it were to be retired. While LAI's assessment found Millstone is likely to remain economically viable under expected market conditions to 2035, DEEP and PURA noted that the current and projected condition of the plant hinged on energy market revenues and plant operating costs. "[A] few key cost inputs significantly impact this result and further verified, audited financial documents from Dominion could demonstrate that the Millstone units are at risk," the regulators said. The hypothetical retirement of Millstone's 2200 MWe of generating capacity would have "significant negative impacts" on the region's electric grid with respect to fuel diversity, energy security, and grid reliability, the report found. Although loss of the plant would not necessarily trigger the need for new capacity in the state of Connecticut, it would cause the New England region as a whole to need new capacity. Replacement capacity procured through the ISO New England market would likely be natural gas-fired. This, the report said, would exacerbate security and system reliability issues owing to the region's "over-dependence" on natural gas. Retirement of Millstone would result in a 25% increase in carbon dioxide emissions over the entire New England electric sector, the report found. Replacing all of the plant's output with zero-carbon resources would cost Connecticut's ratepayers an estimated $5.5 billion, the report found. The report also noted that, although mechanisms including long-term power purchase contracts and zero emissions credits (ZECs) can be used to provide revenue stability for new and existing zero carbon resources, there are at present no mechanisms to retain Millstone and allocate the costs regionally. It also pointed to the US Federal Energy Regulatory Commission's decision in January to terminate proceedings on a proposed rulemaking that would have required the region to compensate nuclear facilities, among other things, on a cost-of-service basis. Meanwhile, the ISO New England has recently released a fuel security study that predicts the region would experience rolling blackouts if Millstone were unavailable in future winters, underscoring the regional dependence on the unit," it said. "In the absence of actionable regional mechanisms, DEEP and PURA conclude that a procurement under June Special Session Public Act 17-3 should go forward, with certain conditions to ensure that the state's ratepayers are protected from paying above-market costs for resources that are not verified to be at risk of retirement," the report concludes. The two regulators will continue to seek regionally-integrated and market-harmonised mechanisms, including ZECs, and to ensure the costs associated with any long-term measures needed to retain "key nuclear generating facilities" would be shared "appropriately with the region that benefits from them". Under the current procurement process, new generating resources are 'scored' based on both price and non-price criteria, including impacts on electric system reliability; contribution to local capacity requirements; contribution to meeting clean air requirements; fuel diversity; and contribution to other state policy goals. Existing generation resources - such as Millstone - are scored on price only. The report recommends an additional step to the procurement process to allow eligible, existing zero-carbon resources to be evaluated on attributes other than price if they can provide to the regulators "credible evidence" that they are at risk of retirement. "Dominion has not yet released verifiable data related to the fiscal health of Millstone," DEEP commissioner Robert Klee said. "But Connecticut and the region continue to need Millstone for its critical contributions to fuel security, as demonstrated in the recent ISO New England fuel security study, as well as to meeting our greenhouse gas reduction goals. We believe this procurement path holds the potential to meet those needs," he added. Paul Koonce, CEO of Dominion Energy Power Generation Group, thanked DEEP and PURA for their work on the appraisal and their conclusion to conduct a procurement for new and existing zero carbon facilities. "The final appraisal is clear. Millstone is vital for Connecticut to meet its cheaper, cleaner and more reliable energy goals and aggressive carbon goals. Dominion Energy is committed to continuing to work with state energy officials to achieve those goals," he said.